SaaS folks have been talking about our “stacks”—most commonly our marketing or sales stacks—for a while now. This may sound like some obnoxious Silicon Valley buzzword (and I guess it is, now that I think about it), but a stack is simply a collection of software tools we use to execute a set of jobs in a specific function. A marketing stack is the toolkit used to run the marketing function. But there’s been very little talk about a stack that covers what is arguably the most important function for a SaaS business: product engagement. The term product engagement covers everything about how your users engage with your product—who uses it, when they use it, how often, what they use, and for what reasons. Product engagement is the lifeblood of a SaaS business. 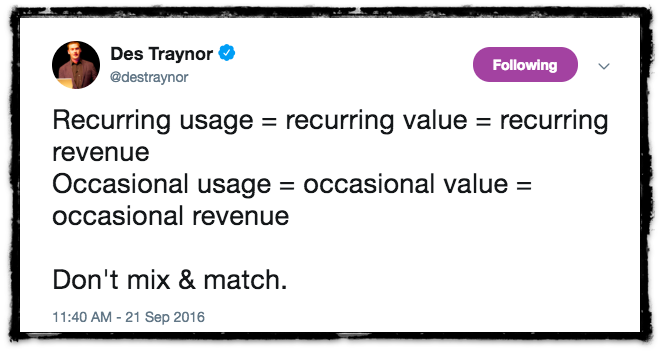 The entire SaaS business model is based on continuous engagement, without which there is no activation, no retention, and, ultimately, no business. But until now, we haven’t really talked about the tools needed to drive the product engagement function in any formal, organized way. So let’s do that now. It’s time. Why do we need a product engagement stack? 1. Product engagement is super f@#*ING important! Software as a Service is a recurring business model. Customers pay for a software as long as it is providing value. As soon as it stops providing value, they stop paying. If they stop paying, the whole model is broken. Continuous engagement with your product is really the most important, foundational element of your entire SaaS business. In today’s world, your customers have a virtually endless number of options for getting a specific job done. And there are new ones popping up everyday. What’s more, the switching costs to move between these various tools has dropped significantly. In fact, in many cases, switching costs are almost non-existent thanks to free trials, freemium offerings, self-serve options, and tools like Segment that help seamlessly move data. This means the bar for generating product loyalty has been raised considerably. Because of this, we have all stepped up our engagement game. We’re working harder. We’re being more creative. We’re building better products. We’re doing whatever we need to do to keep users from straying. Infinite tools, lower switching costs, and better engagement efforts have created a trifecta of forces working together to make it harder and harder to keep your users engaged. It’s important to realize that product engagement is not something that can be owned by a specific person—or even a single department—within a SaaS organization. It is the kind of job that extends across multiple functions. While one could argue that every department in a SaaS business should be involved in driving product engagement, the product, product marketing, and customer success teams are all integral to strong engagement. Because the job of product engagement can’t be defined or owned by a single group, it’s silly to think that it can be served by a single tool. This is why it’s time to start talking about a product engagement stack. As mentioned above, the job of driving engagement has become a lot more sophisticated, and the list of specific jobs that needed to effectively drive engagement has grown accordingly. And to do any of this effectively, you need to know exactly who your user base is and how your users are engaging with your product. And that’s just for your activation efforts! For each component of your product engagement efforts, you may need several different specialized tools. Yes, really. 5. There is now a great ecosystem of products built to support the different dimensions of product engagement. As mentioned above, you will likely need a specialized tool for every element of your product engagement plan. That’s the bad news. The good news is that we’ve now come to a really good place in the evolution of the product engagement space. What used to seem like a random spattering of tools is now a full-blown, robust collection of offerings. In almost every category, we have multiple solutions and multiple options. 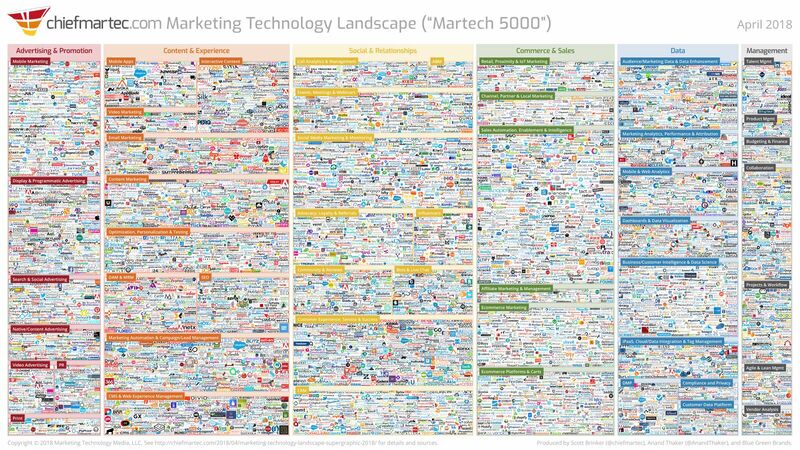 So while it may have been time to start thinking about a product engagement stack years ago, we simply didn’t have the tools to fill it out. But now we do, which it’s officially time to start this conversation. How do we start to think about a Product Engagement Stack? The first step is simply to accept that we need to start having a serious conversation about this new and essential stack. Messaging is one of the core tenants of any product or user engagement program. Messaging programs help introduce users to your product, drive them toward activation, alert them of features and benefits they may have missed, drive conversions, announce new features, re-engage, and so on. Much of what you will do in your product engagement practice will involve some sort of messaging program. These messaging programs can be manual or automated and be executed across multiple channels—email, in-app, mobile, sms, direct mail, etc—and it is likely that you will need multiple tools to execute all of these messaging programs. Some people might not consider customer support/success efforts as part of a product engagement program. But they’d be wrong. 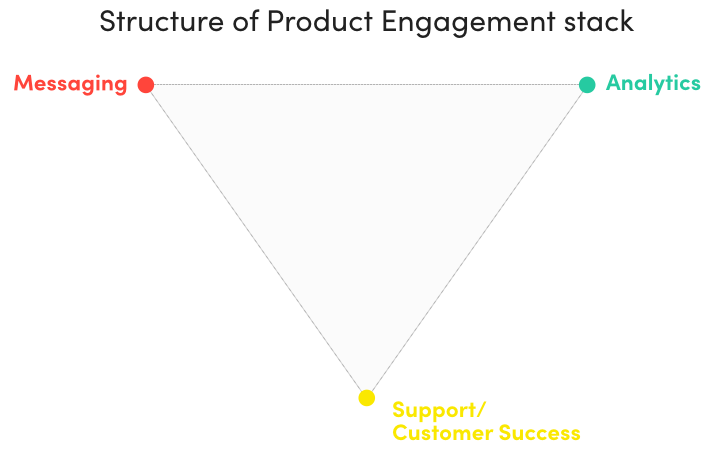 Your customer success team is an essential component of your product engagement efforts. Sure, most of us have a vision of fully self-serve product offerings that can be supported by completely automated, touchless engagement programs. We think our products are so good, they don’t need support . But this is simply not the reality for the vast majority of products. The reality is that a good CS team and a good CS operation are essential for ensuring proper implementation and customer activation, as well as for keeping accounts engaged and expanding throughout their entire lifecycle. Who are my most/least engaged users? Who are my most/least engaged accounts? Who’s engagement is increasing/decreasing (i.e. who do I need to pay more attention to)? What are they doing/not doing? Which accounts are activated? Which ones are stalled? What are the key points for activation and when do they happen? What features/events are actually driving engagement? Are my new features or engagement activities helping to drive overall engagement? Taking the pulse of your product engagement is an essential part of assessing of the health of your overall SaaS business. Product engagement, as a KPI, is a leading predictor of conversions, churn, and upsells—making it, arguably, the most important KPI in your business. The battle to keep users engaged continues to be one of the biggest challenges facing SaaS businesses today. This is not just because the success of any SaaS business is dependent on great product engagement, but also because the whole practice is becoming harder and harder. And now that the market for product engagement tools is starting to mature nicely, it’s time to start assembling our toolkit. Head of Product and CS at Sherlock, an engagement scoring application built to help SaaS businesses understand their user and account engagement in a new and more actionable way.